I am a new patient. There was a very thorough interview by the assistant. I wanted this visit to be myannual. The only thing I noted that was not done was a breast exam. This is usally done on annual so I was wondering why that was not done. Otherwise I was very impressed by Dr. Cooley and will go back. I am a new patient. There was a very thorough interview by the assistant. I wanted this visit to be my annual. The only thing I noted that was not donewas a breast exam. This is usally done on annual so I was wondering why that was not done. Otherwise I was very impressed by Dr. Cooley and will go back. Overall I thought the place and people were nice but, I don't want to say that they weren't friendly but Iguess they weren't too warm. I still like them and I'd very much go back because Dr. Cooley was quick and efficient and she put me at ease when I've had poor experiences before. The wait was a bit longer than expected. I showed up 15 minutes early as requested to fill out paperwork and I think I wasn't called back until like 30 minutes later and it took about another 15 minutes to be seen once I was done talking to the nurse. It was the early morning so I guess they were already running behind, I won't fault them too much for that because I understand sometimes that's just how it is. Overall I'd recommend being seen here, just be patient. Overall I thought the place and people were nice but, I don't want to say that they weren't friendly but I guess they weren't too warm. I still like them andI'd very much go back because Dr. Cooley was quick and efficient and she put me at ease when I've had poor experiences before. The wait was a bit longer than expected. I showed up 15 minutes early as requested to fill out paperwork and I think I wasn't called back until like 30 minutes later and it took about another 15 minutes to be seen once I was done talking to the nurse. It was the early morning so I guess they were already running behind, I won't fault them too much for that because I understand sometimes that's just how it is. Overall I'd recommend being seen here, just be patient. Kira Cooley is a caring and attentive OB-GYN serving the community of Bartlett, TN. 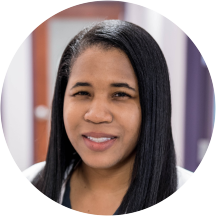 Dr. Cooley attended Case Western Reserve University, where she received her medical degree, and completed her residency in obstetrics and gynecology at the University of Tennessee, Memphis and the University of Cincinnati. She received her bachelor’s from the University of Pennsylvania. Dr. Cooley is a part of Saint Francis Medical Partners, Bartlett Women's Clinic and is affiliated with Baptist Memorial Hospital - Memphis and Saint Francis Hospital in Memphis. She is board certified by the American Board of Obstetrics and Gynecology and is a member of the American College of Obstetrics and Gynecology. Dr. Cooley is sensitive to the uniqueness of each patient's situation and adapts his consultations and treatment options appropriately to accommodate individual needs and concerns. Dr. Cooley is patient and thorough. I appreciate her empathetic bedside manner and her willingness to listen. Very nice and made me feel comfortable. Always feel more than comfortable with her! Literally the only OB/GYN I’ll go to until she stops practicing!! Dr Cooley and her staff are great. Very friendly and efficient. Awesome bedside manner. Very nonjudgmental. Very pleasant and thorough. I absolutely live Dr. Cooley! She keeps me calm and is committed to her patients! She was tentative, supportive and gave great insight on what my concerns were. My only concern is that the staff had a mix up in the lab and misplaced all of my blood samples. They called for me to come back for more blood to be drawn. I scheduled the apointment according to mywork schedule. Not too comforting somewhat scary. I waited an hour to see anyone. Dr Cooley was wonderful! The clinic is well run, the staff is very friendly and knowledgable. I am so thankful to have gotten in to see her. Doctor was very kind and listened to all my concerns. I'm happy I found her. Dr. Cooley was very thorough, attentive, and showed true concern. She didn't make me feel like she was in a hurry to "move on" to the next patient. I would highly recommend her to others. I think she awesome. I loved her she was very knowledgeable and concerned. The staff was very friendly . The best part it wasn't a long wait. When I get pregnant she will be my doctor. My visit was very pleasant! Dr. Cooley and her staff were very nice and professional. I highly recommend her! I had a great experience going to Dr. Cooley for my yearly checkup. All the staff was so friendly and quick with everything. Dr. Cooley was very kind and took time to talk and get to know me. I would definitely recommend this office to anyone. She was very thorough and understanding about my situation and was able to help me. Dr. Cooley was very concerned about my pregnancy. She made sure she answered questions that I had. She also made sure problems that were occurring during my pregnancy she got to the bottom of it. Dr Cooley made me feel comfortable, I like her and I've definitely found a home.